What is the IP of the server? If you join for the first time, you have to register by typing /register [password] [password] make sure you have a Strong password! every time you enter on the server after registered, you can login by typing /login [password]. where [password] are the password you choosen first time! When did this server start? Server went public on 11-21-2013. Once you've donated for the rank you wanted, you'll have to fill in your minecraft name + e-mail so we know who bought the rank. Paysafe, Paypal, phone, and sms. What is the currency system in Survival? 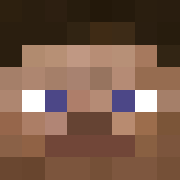 In the Survival server the currency has been replaced with Emeralds from the normal economy! How do I get emeralds to purchase things? To get emeralds you can trade materials with a villager located right outside of the spawn building, vote the server, or trade materials with other players. These emeralds can then be used to purchase things from the spawn area, and from other users within the server!